Government authority located in New Hampshire, USA based organization looking for expert vendor for comprehensive website consulting and design services. - The system must provide simple user interface to update website content and design, including but not limited to editors. - The system must provide access to a library of professionally designed web templates. - The system must provide the ability to support teachers with easy access to teacher pages. Ability for teachers to easily update content. Support teacher page management. - The system must provide the ability for on-screen alerts and messaging for site visitors. - The system must provide the ability to integrate with social media tools and outlets such as Facebook, Twitter blogs, and podcasts to easily like or follow the District. - Assist the District in designing and implementing a new School District Logo with input from all necessary parties. - The system should provide the ability to support map integration. - The system must support multi-language needs by providing the ability to automatically translate the icons as well as all content, excluding PDF documents, into multiple languages in the app. - The system must provide the ability to monitor the number of people that are following the district and school social media sites via both a web interface and via app. - The system should allow configuring single sign-on access to the web-based services you wish to provide to your community members, without being dependent on the provider or other third party. 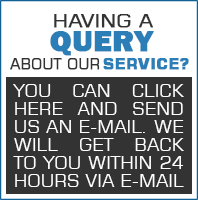 - Customer support must be available 24/7 via phone, email, or online support portal with a minimum guaranteed response of one business day after receiving notice of issue. You can either pay for Single RFP/Bid document or Subscribe with Monthly Subscription for whole	Web Design and Development, Graphics and Animation, Mobile Application Development, Social Media, Internet Marketing and SEO	Category/Categories. If you will obtain monthly subscription for Web Design and Development, Graphics and Animation, Mobile Application Development, Social Media, Internet Marketing and SEOcategory/categories, you will be able to access all the RFPs from that Category. Here are the Monthly Subscription offers. So, subscribe for Monthly offers and get rid of Individual RFP payment.